Rothschild School photo, late 1921? This photo was taken outside the school (in the playground? 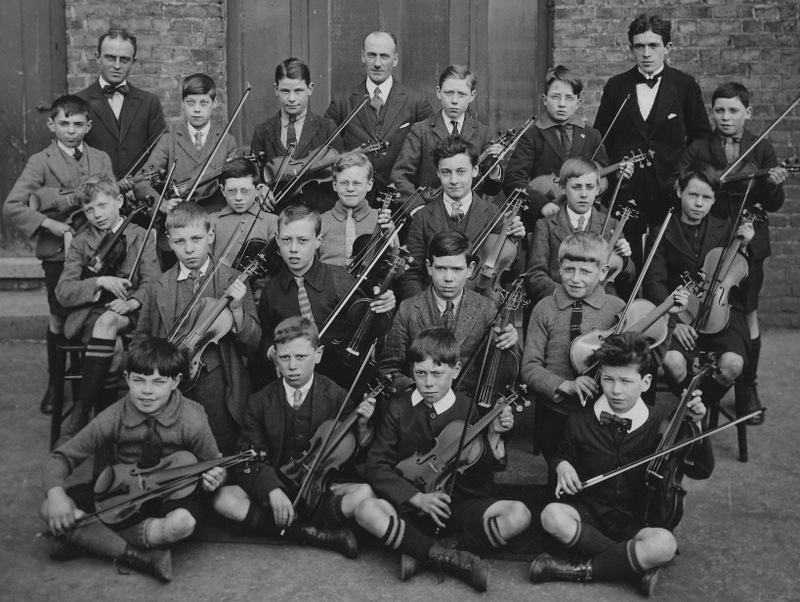 ), and shows a violin class of 20 boys with three masters on the back row. I'd guess the rather flamboyant adult with the bow tie to the back right is the violin teacher. The boys are arrayed in rows, front sitting, next kneeling, next sitting on chairs then a back row standing. Arthur Healey is in the 3rd row back first on left. He was born in 1911 and Sandra reckons a photo date of late 1921. All the violins are held for righthanded playing, but that might be for the photo composition. The boy at front right has a new romantic look to him. The boys are in short trousers and the photo shows the sturdy ankle boots worn at the time. Sandra adds: I have Arthur's violin 'School Examination Primary Division Pass Certificate' from 1924 (exam taken at Richmond) so he obviously played violin for quite a while at school. It says on the certificate that he was a pupil of a Mr R J Millard of Brentford. I wonder if he is one of the masters in the picture? I also have both two violins that belonged to Arthur - I assume the smaller one of them must be the violin pictured. The 1911 census includes a Richard James Millard, age 21, music teacher, born Chiswick, living with his parents at 38 York Road, Brentford: he may be the dark-haired master on the right. 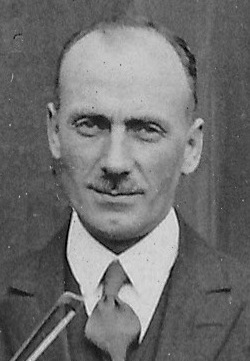 Richard James Millard remained at the York Road address into the 1920s (Electoral Registers on ancestry.co.uk). 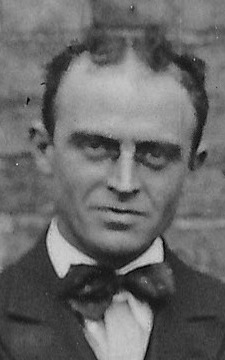 Teacher with bow tie, mid 40s? 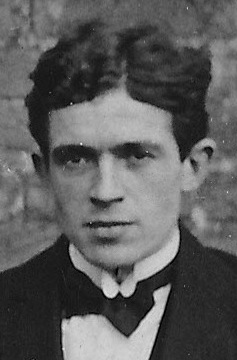 Head master Captain Leonard Revell, who succeeded Evan Phillips in October 1921 Violin teacher, age about 30? Richard James Millard?